How Do We Know The Universe Is Infinite? An (article) was just published asking how we will know if the Universe is infinite? Before you read the article just stop and think about it for a second. Obviously, there is no way you are going to get an answer to the question from the article. Unaware EA just jump in an read it without giving it a second thought. EA that are aware of Hetlau realize there is no need to read it or at least no need to read it expecting an actual answer. Rather, they realize just looking at the article title you can see the misdirection and/or subliminal dissemination. Having this insight is what allows you to get a better understanding of what is really going on on Earth. Looking at article headlines from an ETI viewpoint instead of an EAI viewpoint allows you to see how the Hetlau are deceiving the EA. An (article) was just published about the news surrounding President Trump and ZTE. We have looked at the names of businesses in the past to help us see the hidden actions of Hetlau on Earth. 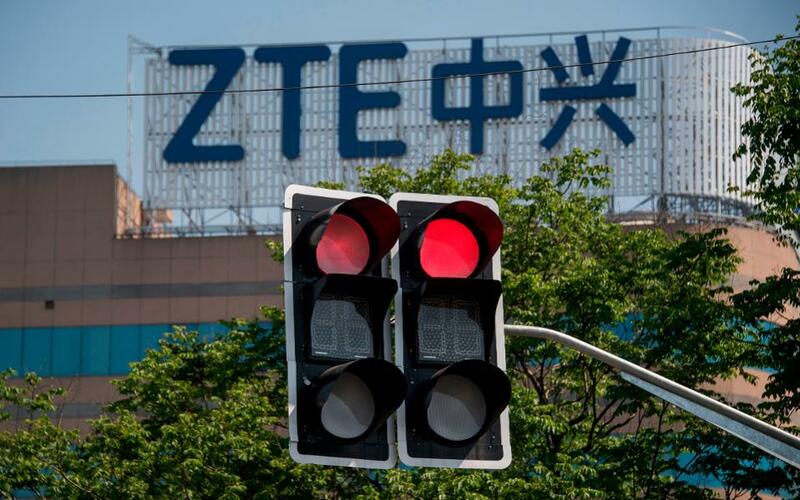 Does the recent surge in news around ZTE cause you to look at their business and apply a little wormation to it? Do you see the hidden message? It's not to difficult to see this one. If you spend any time studying wormation you can pick up on ones like this with ET right in the name backwards and then you just need to solve for Z. Support Big Picture Science today—your gift will be matched! SETI is banging on your doorstep asking for more money again (article). You can spend your money foolishly giving it to an organization whose primary focus is the Triad of Being Had. At least they claim they will match your donation. The key is all you need to do is start by reading the Two Way Mirror Theory and you can be seeing Hetlau today at no cost. You won't get corroboration but if you spend more time understanding what is going on you'll realize the lack of corroboration is just more evidence of their existence here on Earth. Then tune in each day to etufodisclosure.com where the viewpoint from knowledge of Hetlau is provided for you so you don't have to waste your time or energy trying to figure it out. It's your call but someday you'll look back and see the answer was being provided the only question will be were you aware of it. A new global shipping enterprise just launched (article). When a person hears this they immediately ignore it because they can't possibly imagine it has anything to do with ET & UFOs. That's why EA can't figure out what is going on. They want to spend all day wasting their time focusing on the Triad of Being Had. Certainly, ET & UFOs are going to appear in the form of biological life forms on exoplanets, radio waves from distant star systems, or at least one of the daily UFO sightings occurring around the planet. The trick is once you know Hetlau you can see them in action with regular EA EvenTs going on. There is almost no way three of the largest container operations of Japanese carriers Kawasaki Kisen Kaisha (K Line), Mitsui O.S.K. Lines (MOL), and Nippon Yusen Kabushiki Kaisha (NYK) could merge without some Hetlau being involved. Not only involved but orchestrating it. How would you know they were orchestrating it? Well you know they have to leave clues for the other Hetlau to see as well as EA to be able to look back and see after disclosure. Once you know that precognition you can just apply wormation to the business name and see the hidden clues other EA who are being had by the Triad of Being Had are oblivious too. You really don't even have to put that much work into it. If you just check back each day to etufodisclosure.com we post stories about how Hetlau are influencing world events so you can see it being recognized from the viewpoint of an organization who knows Hetlau and how they communicate. A new (article) on updates to the Zuckerberg & Hawking initiative to SETI was recently published. As with most articles reading it is just a waste of time. The Breakthrough Listen Initiative operated by Mark Zuckerberg, Yuri Milner, and the late Stephen Hawking is just another waste of time and money similar to the SETI project itself. At first glance, it appears to be trying to accomplish something by upgrading the Parkes telescope (which is operated by the Commonwealth Scientific and Industrial Research Organization, or CSIRO). 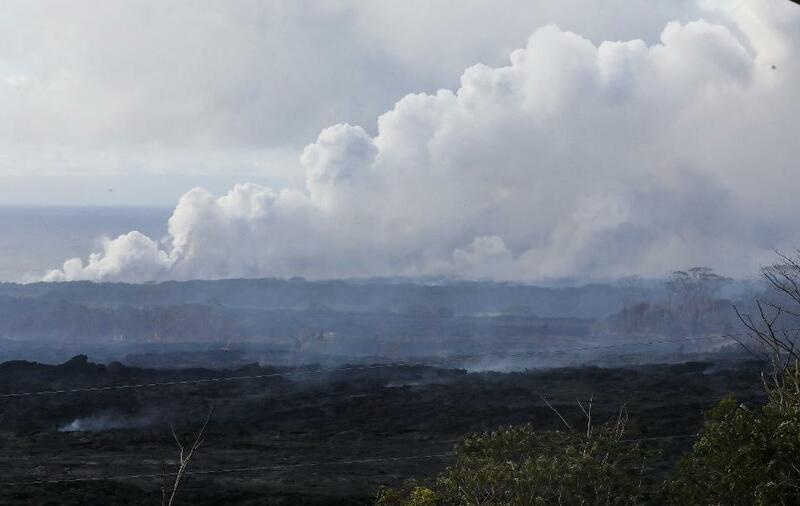 This will supposedly give us a better chance of hearing signals from ET. What this fails to take into consideration is that anyone who is paying any attention already knows Hetlau. Then combine the understanding of Hetlau with the Triad of Being Had and you know that the whole SETI nonsense is just misdirection and subliminal dissemination. Even if they find signals from ET its still going to lead back to Hetlau and answering the Hetlau question explains why SETI is just misdirection and subliminal dissemination. Remember this doesn't take a great deal of intelligence to understand what is going on. Hetlau tell their grade school age children what is going on and they understand it no problem and keep their mouths shut. The problem for EA adults is since they have been raised to the age of critical thinking with a lie as the basis for their understanding of what reality is, it is just too much to overcome to comprehend what is really going on even when someone tells them the truth. It is reminiscent of the saying a lie told enough times becomes the truth. Can We Prevent War in Space? An (article) was just published asking can we prevent War in Space? Rather than reading the article what you should immediately be thinking is how ridiculous this statement is. Once you know Hetlau, know they are at war with us, and know they are enslaving us you know we are already at war with them in space. The problem is the EA aren't aware of it and have been losing badly they whole time they have been on Earth. What is interesting is how EA are constantly using examples of how they as EA exist and applying those examples to use as criteria for the Search for ETI (SETI). Yet EA are not willing to think that ET would be at war with them and as such will not use that as a criterion to aid in the search for ETI (SETI). Unfortunately for the EA this is the single biggest reason they cannot find ET. The unwillingness to accept a worst case scenario and evaluate that first and foremost has the EA being led around like a clueless pigeon being fed bread crumbs in a park, there simply is no chance they will figure out what is going on before disclosure. People have even solved the problem and are providing the answers on daily basis (etufodisclosure.com) but the EA are completely oblivious to what is taking place. Its another day and another ET precognition without any EA recognition. What If Aliens Met Racists? A new (article) was published asking what if Aliens met Racists? 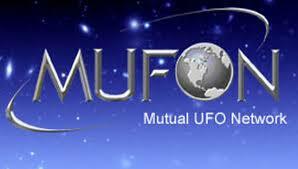 The latest squabbles taking place at MUFON are another great example of misdirection and subliminal dissemination. They want you to focus on the problems the organization is having such as racism, sexism, and ageism. Then they want you to ponder about how ET would respond to meeting people who are like that. The answer is simple. They would do the same things then that they are doing now. They would enslave the people without their awareness and defeat them at war so they could use them as slaves forever. The problem the EA have is they want to think about EA concepts from an EA point of view like racism, sexism, and ageism. In other words, they want to think EAI. Then they want to think about how someone else is going to think about them. The problem is no one cares about the EA and the EA aren't smart enough to realize that and are only concerned with themselves. Then to make matters worse they aren't even aware of it. The EA physically move one step closer to disclosure each day but logically they remain motionless mired in their own self absorption. Unable to step back and reflect on what is really happening there is little chance they will ever really realize what is going on. 25th Anniversary since the repeal of the Aviation Combat Exclusion Policy (article). Make sure to take the time to sign it before you move on and start reading articles. Signing the petition is the only way to force the disclosure of ET & UFO information. The civilian population of EA (Earthlings) need to show the Governments and Militaries of the world they know what is going on and this petition is the only one that correctly implies that this is happening. An (article) was just published describing how the JEDI is deploying new servers to the frontline of the battlefield. The first thing you notice about the article is that they have shifted the naming convention. 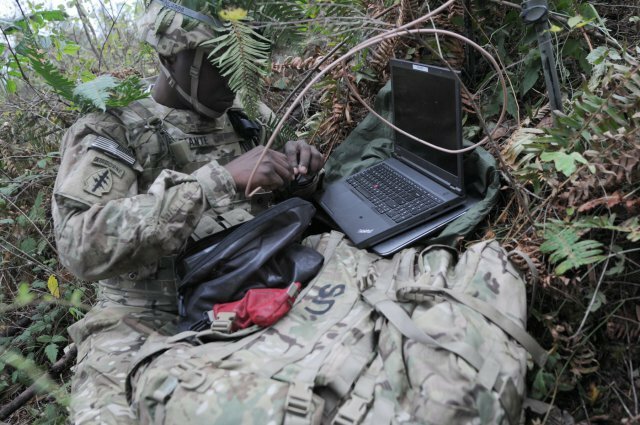 In the past, the device the soldier is holding was a laptop and now they are referring to it as a backpack server. Then the servers on the boats or in shipping containers are now referred to as data centers. By renaming data centers the cloud they have created an opening to require all new hardware technology pushed out to the edge simply because the legacy naming convention makes it functional with the new naming convention network. That's some pretty slick marketing. 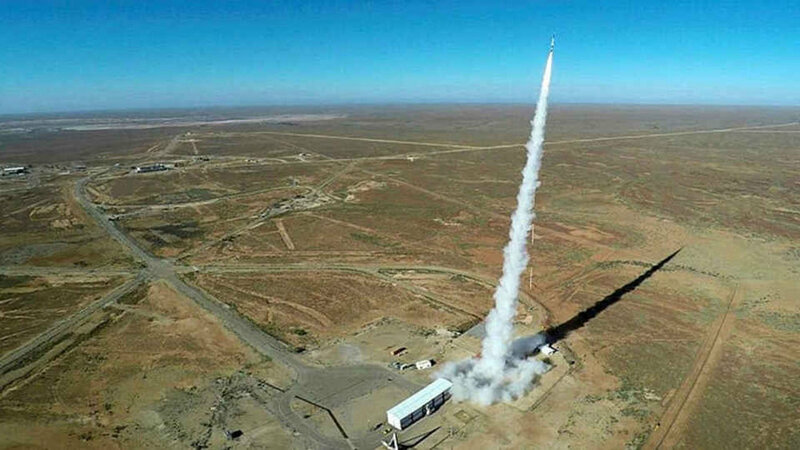 Regardless once you have an opportunity to look at how new technology is being deployed and then add to that military technology and you have a great opportunity to see the Hetlau in action building their ETA. They have the EA fighting each other without even knowing it which provides a great cover story to promote more EPMS allowing the placement of expensive, advanced, and cutting-edge technologies into the field. In this case the front line of the battlefield. Unfortunately for the EA they can't figure out what is going on so this all appears to make sense. Were the EA able to apply precognition they would see this same pattern has been repeating itself all throughout history. Then realizing its all headed to a functional ETA and disclosure they would be able to see the plan unfolding. Where it gets even more interesting is when you start looking at these really cool names the Hetlau come up with to call this technology. To the EA JEDI has the star wars name play going on. Little do the EA realize star wars means the ET star is at war against our EA star. Then they apply the acronym Joint Enterprise Defense Infrastructure (JEDI) to make it appear as though it fits in seamlessly with their Joint Information Environment. Add to that terms like "tactical edge computing devices" and "rapidly deployable data centers" and surely this will prevent us from getting stuck in wars like Iraq and Afghanistan where we have been mired for almost two decades now against forces whose most powerful weapon is an IED and a Toyota truck with a 50 caliber machine gun mounted on it. You have to wonder if anyone is really paying attention. After all that though you could just follow the steps you see happening daily on etufodisclosure.com which would tell you not to even bother reading the article and just look at what they are calling this nonsense using wormation. Suddenly those JEDI backpack servers become ET backpack servers facilitating the ETA.